Madrid and Lisbon are the two capital cities of the Iberian Peninsula. 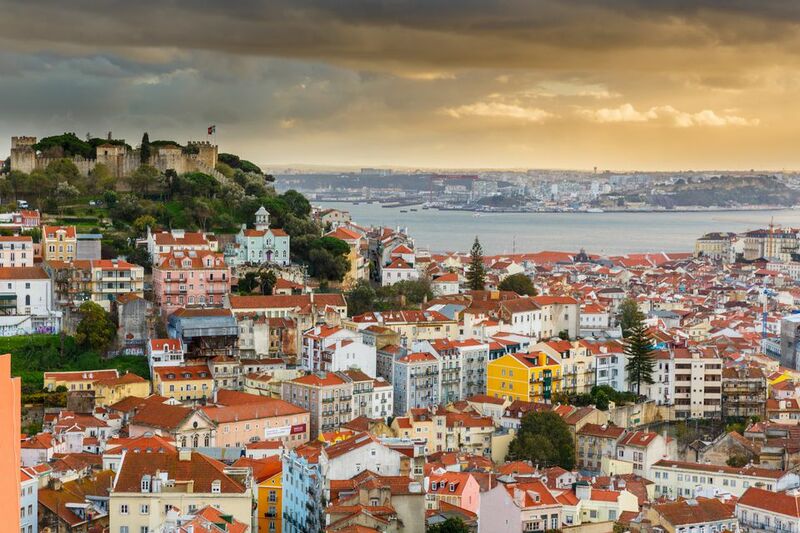 Lisbon is a lot smaller than Madrid—at half a million people, it would rank around seventh in population if it were a Spanish city—but is just as essential a stop for any visit to the region. The best way to get from Lisbon to Madrid (or vice versa) is by budget flight or the night train. Other options are by bus or car (if driving in Europe is not too intimidating for you). There are cheap flights from Lisbon to Madrid. This is the quickest and easiest way to travel between Madrid and Lisbon, and it's often also the cheapest option. Both cities have just one airport, and they are both easy to get to. The night train from Lisbon to Madrid takes about 10 hours and is very affordable. A sleeper car can be booked for a higher fare. The train departs from Chamartin in Madrid and Oriente in Lisbon. The journey takes longer than the bus, but it's more comfortable. If you're going to spend that long sitting down, you might want to add a couple of hours to the journey and enjoy the extra comfort. The bus from Lisbon to Madrid is run by ALSA. The journey takes around eight hours and costs just a bit less than the train. The bus departs from Lisbon Oriente and arrives at both Madrid Mendez Alvaro and Madrid Avenida de America. Buses from Seville to Lisbon are quicker, and if Seville is also on your itinerary and you prefer to travel by bus, you might consider going to Seville first and then Madrid from Seville. If you're traveling by train, your main stops en route are in Salamanca in Spain and Coimbra in Portugal. However, because this is a night train, you will get to these cities at awkward times and aren't likely to even be awake to get a glimpse of them. If you're traveling by bus, you have a few more options. A good choice would be to go via the Roman ruins of Merida. Alternatively, travel via Seville. The 390-mile drive from Lisbon to Madrid takes a little more than six hours on the A6 and A5 roads. The advantages of driving are universal: You can stop where you want, you are in full control of your schedule, and you have a car when you get to your destination. It all adds up to the freedom of the road and the adventure of a road trip, in itself an appealing reason to drive. But you only should attempt driving this route if you are not the least bit bothered about driving in a foreign country whose language is not English and whose rules of the road might differ from the American ones you know. You also should be comfortable driving in a large and unfamiliar city like Madrid.